I’ve been sitting on the partially completed manuscript for most of that time. Contemporary romance is so much easier to write (and sell to a publisher who does all the editing and the cover art and actually PUBLISHES the book so I don’t have to). I find switching from contemporary romance author to screwball fantasy author difficult. I’m not even sure COOL BEANS makes sense. Therefore it has been easy not to write it. 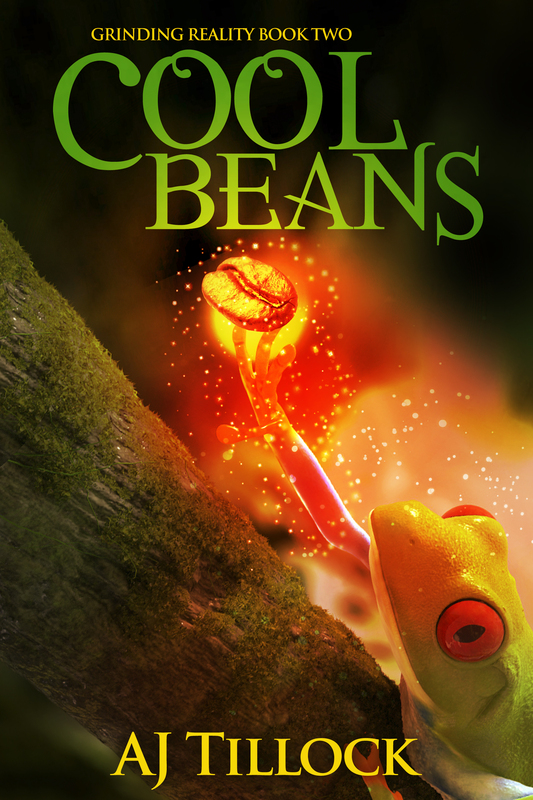 But…I have made a promise to myself and to the two fans who loved The Forbidden Bean to have Cool Beans out by the end of summer 2015. I put it on my web site. I have a fantastic cover!!! Therefore I MUST FINISH IT. Plus, writing (and selling the books) in this series is the only possibility I’ll ever have of making significant money off my career as a coffee store barista. Cuz the last twelve years of paychecks just ain’t doin’ it. Basic premise: Coffee store assistant manager and general oddball Tee Rutledge accidentally swallows an addictive but forbidden coffee bean which then temporarily turns her into…something else. Like an insect in The Forbidden Bean. (Didn’t you ever want to be a fly on a wall? Here’s your chance.) Or a tree frog in COOL BEANS. She can go almost anywhere, overhear things she’d rather not know, become an unwilling superhero. Oh, God. No wonder editors and agents won’t touch it. But I’ll write it anyway. Then I’ll publish it. In three years, I will write another blog explaining why I haven’t finished Book Three in the series: KILLER BEANS. 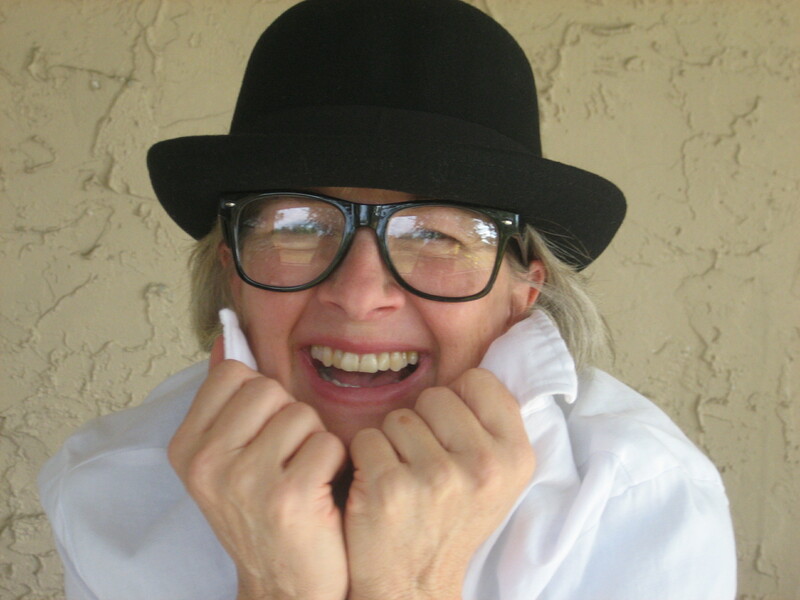 You might also discover posts of difficult chapters this summer as I try to work through my discomfort and ask for help with my drinking—er–writing problem. 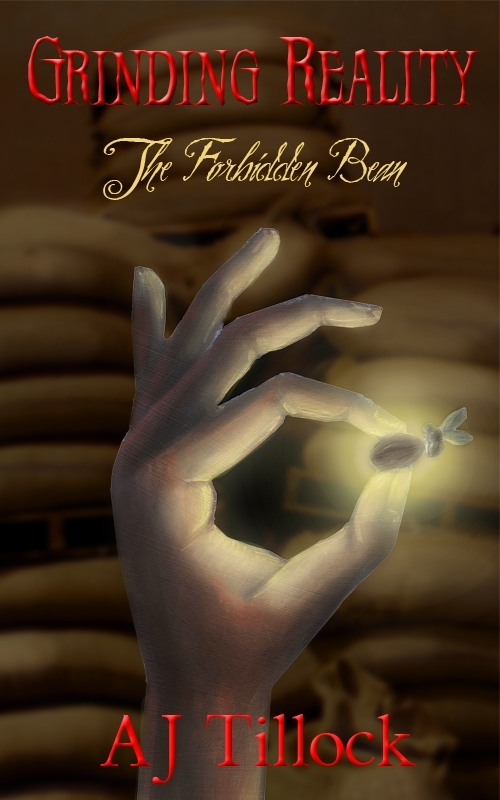 aj tillock, fantasy, series, the forbidden bean. Bookmark.